As the world’s population ages and diseases such as Alzheimer’s, Parkinson’s, dementia, and various forms of cancer – as well as many more conditions – become more prevalent, so more and more people are becoming caregivers for their loved ones. This is a hugely selfless and difficult thing to do, and it is essential that anyone who is looking after someone else also takes care of themselves. The following tips should help anyone who is feeling stressed, exhausted, and overwhelmed feel more like themselves again. Going through the caregiving journey alone is a difficult decision to make, and one that should ideally be avoided for the sake of your mental and even physical health. You cannot effectively care for a loved one if you yourself are unwell. Therefore, it is a good idea to talk to friends and family about what you are going through if you can and listen to their advice. Even just using them as a sounding board can be a good thing for you. If there is no one close to you to talk to (or whom you feel comfortable discussing things with), then see if you can join a support group. You can do this in person or online, and it can make a world of difference when you realize other people are going through the same things you are. When you are a caregiver, it is easy to ignore your own needs because you are so focused on looking after someone else’s. Although that is admirable, it isn’t sensible. You need to be as fit and healthy (and happy) as possible in order to give the best level of care. That means getting as much sleep as you can (at least seven to eight hours if at all possible), exercising regularly, and eating properly. Don’t grab snacks on the run and prepare as much food as you can in advance, and this will help you to be healthier. If you are in pain and suffering, then don’t put off going to see a professional such as Smith Chiropractic about it or you could risk becoming more unwell. When you need help, don’t be too proud to ask for it. When you are offered help, don’t be too proud to accept it. People around you will often want to help you out, but they may not know how best to do it. That’s why, when you need something, you should ask for it – there will be someone willing to assist. Whether it is running to the pharmacy to pick up some medication, looking after your loved one so you can head out to the store, the library, an exercise class, or just for a walk to clear your head, or even just coming round for a chat and a cup of coffee, someone will be glad to oblige. It will make them feel better because they are finally doing something for you, and it will help you out at the same time. 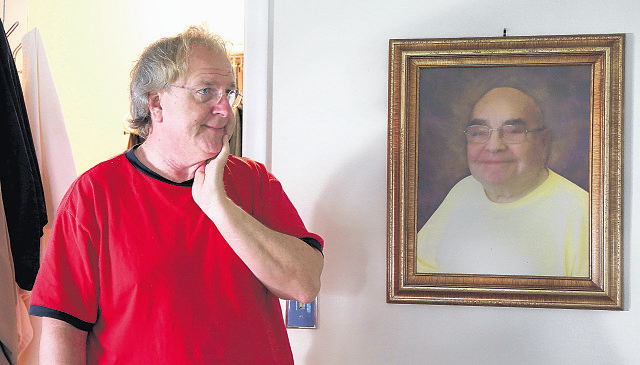 If people want to help, let them – it’s a golden rule when it comes to caregiving. You really can’t do it all by yourself, and you shouldn’t have to. 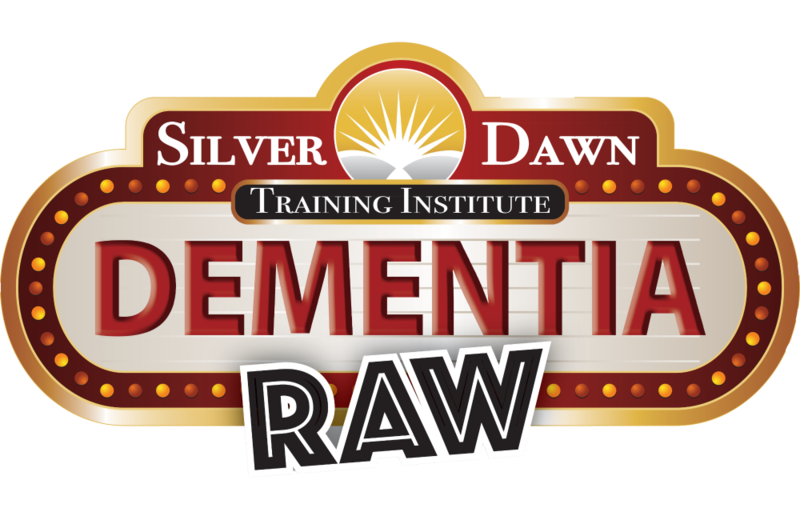 Having the right kind of professional training can help you to give the care you need in your role as caregiver. Workshops, online courses, and one to one training sessions in the home can all be advantageous in teaching you want to expect. It will depend on what illness or condition your loved one has as to what you are going to need to do for them, so picking the right kind of training will help you out. If you can’t find any personal training, then look online for resources or ask at your local library for books and information that can help you. Caring for someone you love, especially if their illness or condition means that they are in pain and suffering, is difficult. You will often feel emotional, and that is perfectly normal. It’s what you do with those emotions that is important. Next time you are feeling angry or sad or low in general, take a moment to step back and discover what caused those feelings if you can. Once you know, you can better manage the situation and the emotions that are caused by it. That will make both you and the person you are caring for much happier. You will not be able to just keep going forever. Sooner or later you will feel tired (even bone weary exhausted), emotionally drained, absolutely overwhelmed by the enormity of what you are doing. Taking a break can help to re-set you, enabling you to be a better carer in the end. This could be as little as a 15-minute walk around the block or a power nap, or it could be a vacation where you really do get away from everything for a week or two. If this latter idea appeals, you will need to look into respite care or find someone else who can come into your home and look after your loved one while you are away, of course. Once that is organized, you can go away and really relax, coming back happier, healthier, and ready to continue your caregiving duties. 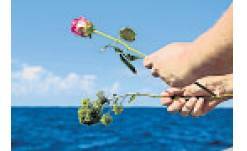 As the health of your loved one declines, the way you live your life will change. If you worry about those changes and constantly think back to your old life with regret, missing what you used to do and have, you will be unhappy with the present, and this can lead to serious issues such as depression. It will also mean that you begrudge your caring duties and start to resent your loved one. Instead, you need to look for the new normal and go along with the new ways of living. Understand that life changes for everyone, not just for carers, and that going with the flow is the calmest, safest, easiest thing to do – it will keep everyone much happier. The Holiday Season and can be both fun and stressful. 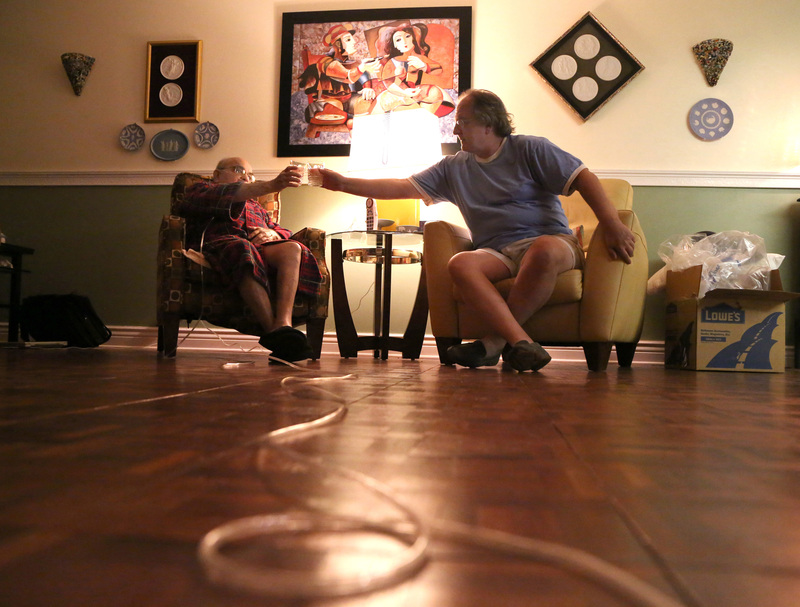 But how does a family approach the Holiday Season when caring for someone who has Dementia or Alzheimer? Deborah Shouse is a dementia advocate and the author of Connecting in the Land of Dementia: Creative Activities to Explore Together . Through her own personal experience of caring for her Mother, Deborah has a keen understanding of the importance of preparing for a dementia-friendly holiday so that everyone can be safe and secure while enjoying the holidays. Deborah offers some sage advice on how to choose holiday activities; explaining the needs of the person living with dementia to family and guest, creating a quite space available for down time while in the midst of the festivities. My personal favorite is Deborah’s suggestion that a family member or friend take turns being around the family member with dementia in order to answer a quick question or to just make them feel comfortable a large gathering of people. When memory loss is first detected in a loved one or friend, it can be troubling for the person affected, but also for the entire family and friends. Too often, people living with dementia are entertained instead of engaged. Connecting in the Land of Dementia shows us how to engage and connect with people who are living with memory loss and dementia. On this version of Healing Ties, Deborah provides us with some timely tips to help caregivers and their caree’s have a dementia friendly holiday season. Listen in and learn how Deborah Shouse is creating Healing Ties all around us! The month of November is always an exciting time as we look ahead to Thanksgiving and the Holiday Season. November is also significant for family caregivers as November is designated as National Family Caregivers month. November is also designated as Alzheimer’s Disease Awareness Month. Family Caregiving and Alzheimer’s disease go hand in hand, it is proper that they both share a month together. Our caregiving journey did not include the insidious disease of Alzheimer or dementia. However thousands upon thousands of family caregivers care for a family member or friend who struggle with memory loss. The common denominator for all family caregivers is to find safe places where you and caree can enjoy life as much as a day in caregiving will allow. As I have come to learn, those who suffer from memory loss often find it difficult to go to loud and unfamiliar places. We know isolation starts to occur when we feel there is no viable option, rather, it’s just easier to stay home than to do deal with the obstacles of the unknown. But what if there was a safe place for those incurring memory loss and their caregivers? KalendarKards is creating a Memory Cafe Directory where people can socialize, listen to music, play games and other activities. They can simply enjoy the company of those with these things in common. A Memory Cafe is a safe and comfortable space and great place for individuals with Alzheimer’s or any of the dementia’s. But it’s not just for them, the memory café for their caregivers as well. The Memory Cafe Directory was started by KalendarKards and is operated by KalendarKards, LLC . Memory Cafe’s are not everywhere, but they are growing quickly. On this episode of Healing Ties, Dave Wiederrich CEO and Co-Founder at KalendarKards provides us with a detailed description of the Memory Cafe Directory and how you can start one of your own. Listen in and learn how Dave Wiederrich and KalendarKards are creating Healing Ties all round us! By creating a comprehensive national directory for Memory Cafe’s, KalendarKards believe they can help raise awareness of the value Memory Cafe’s bring to families. I happen to agree! 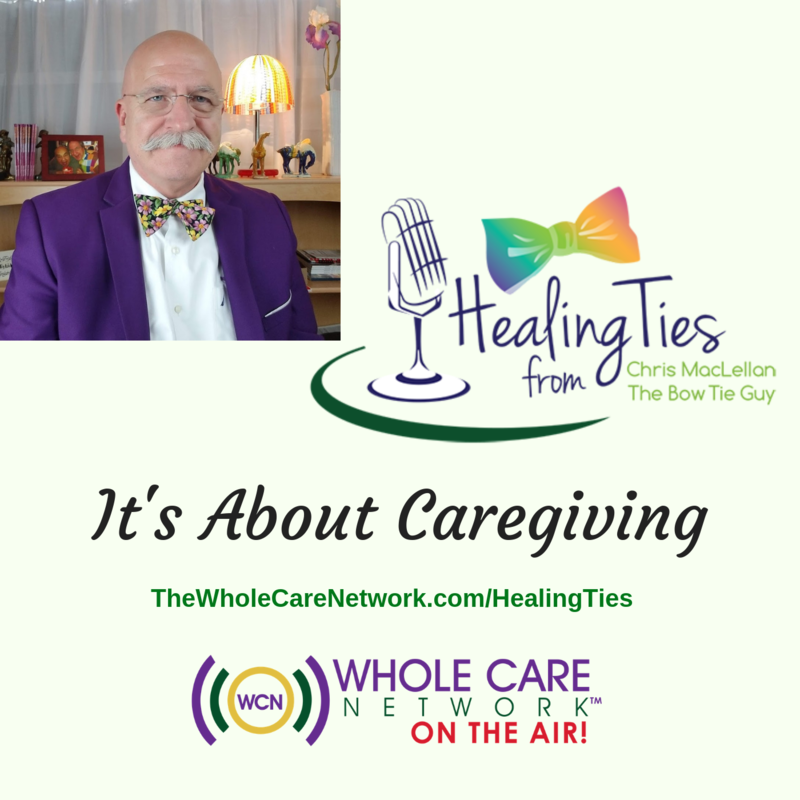 Chris MacLellan is the host of Healing Ties Radio and the author of “What’s The Deal with Caregiving?” ©WholeCareNetwork.